An ultrasound scan can accurately detect if there is any underlying problem. Pelvic pain is a common symptom in women of all ages. In some cases no specific cause can be found, but being reassured that there is no serious underlying problem can be helpful. Taking a full history and a conventional gynaecological examination is an important part of the assessment of pelvic pain, however an ultrasound scan can be particularly helpful. A normal ultrasound scan means that it is unlikely there is any significant underlying problem causing the pelvic pain, in other words ultrasound has a high negative predictive value. Longstanding or chronic pelvic pain may have different causative factors to acute pain, although there may be some degree of overlap. 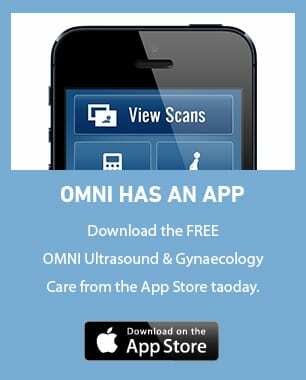 Again for women with chronic pain, a normal scan means that it is very unlikely that there is any serious underlying gynaecological problem. Previous pelvic infection may lead to chronic pelvic pain and be associated with the presence of swelling of the fallopian tubes (hydrosalpinges). These can usually be demonstrated by ultrasound. Inflammation may also lead to the formation of adhesions. These cannot generally be seen with ultrasound, but their presence may be inferred if there is reduced ovarian mobility, fixed areas of fluid within the pelvis or tenderness at the time of the scan. A condition called endometriosis is perhaps one of the most common causes of chronic pelvic pain. Women with endometriosis may have a typical type of cyst in the ovary (endometrioma). They also tend to have pain in specific areas at the time of a scan as well as rather reduced ovarian mobility. For a definitive assessment a procedure called a laparoscopy is often performed in these circumstances to visualise the presence of endometriosis directly in the pelvis. As with acute pain, other non-gynaecological causes of pain such as irritable bowel syndrome (IBS) or diverticulitis must be considered. At OMNI Ultrasound & Gynaecological Care we can predict severe or deep infiltrating endometriosis with a SVG (3D Sonovaginography). We are the only ultrasound site in Australia performing this new diagnostic technique. Rarely, fibroids may be a cause of chronic pelvic pain. This can occur when the inside of the fibroid undergoes degeneration. Acute lower abdominal pain is more likely when the fibroid is attached to the uterus by a thin stalk. Such fibroids are called “pedunculated” and can be associated with the fibroid twisting on its blood supply, resulting in torsion and severe pelvic pain.